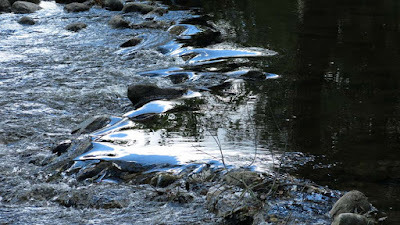 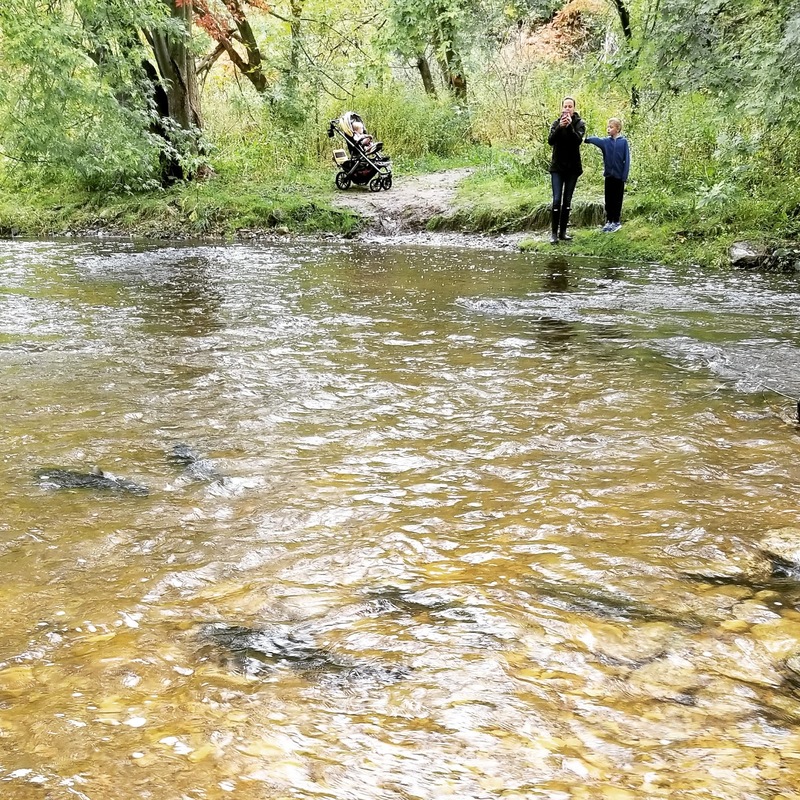 Update October 7, 2018: It was a grumpy Saturday, the ever present rain in the forecast kept people out of the parks but in Lowville Park the salmon are in their spawning run up Bronte Creek. 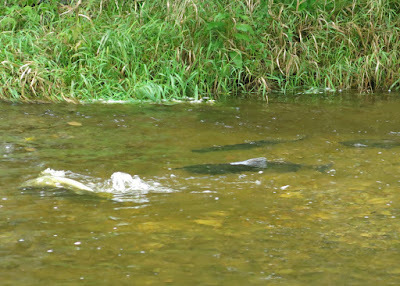 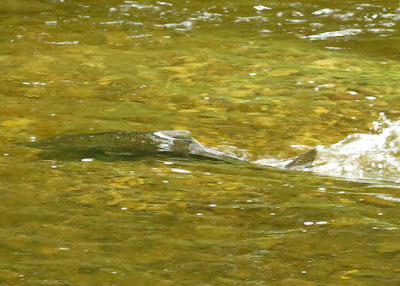 Dozens of Chinooks can be seen in various pools of water as they try to get upstream. 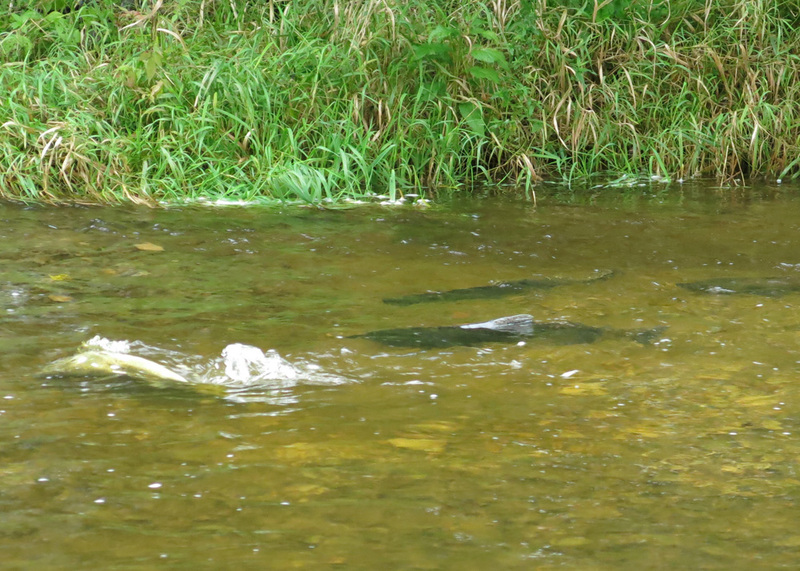 Colder temperatures of Fall bring the salmon spawning up river from September to November to lay their eggs in shallow waters. 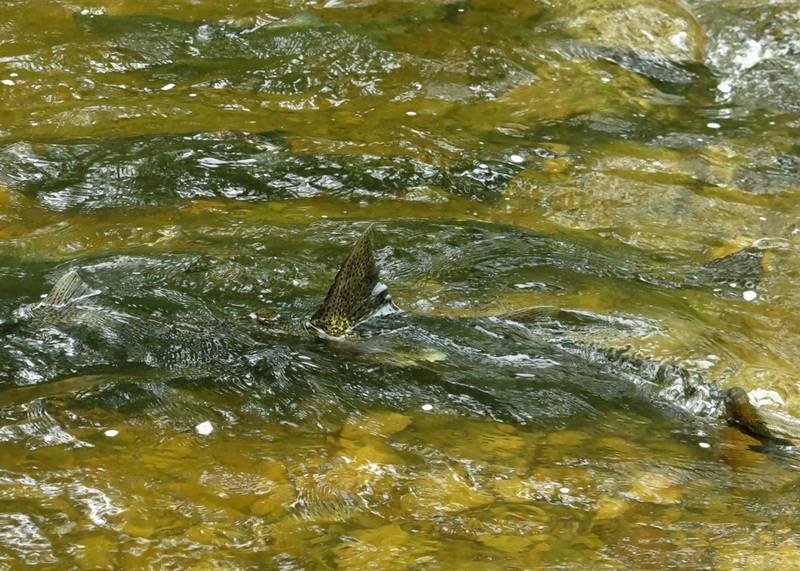 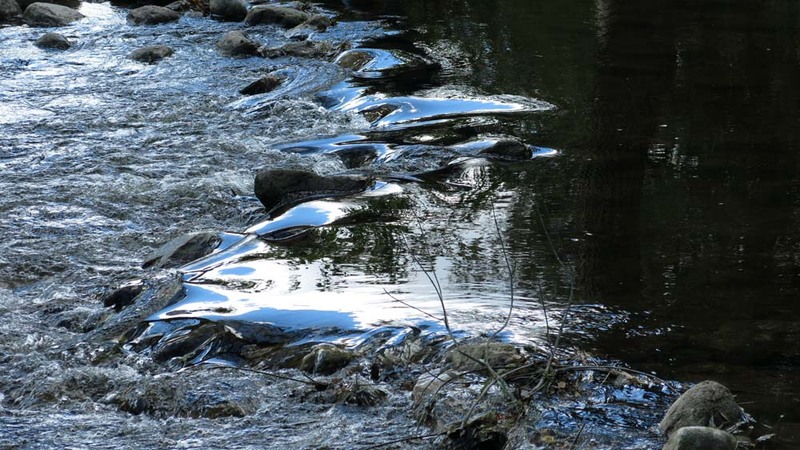 You can find the fish heading against the current in larger rivers like the Don River, Duffins Creek and Bronte Creek. 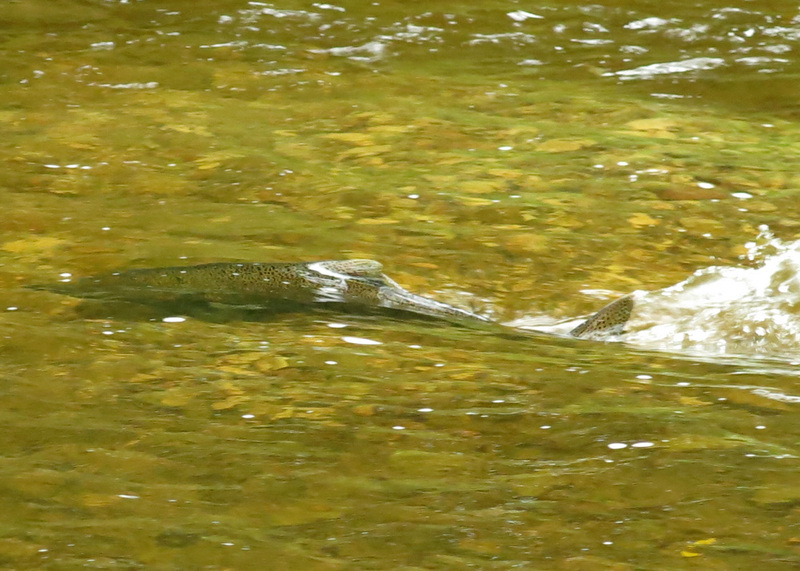 We checked on the weekend and couldn't see any of the Chinook making the heroic journey upstream yet. 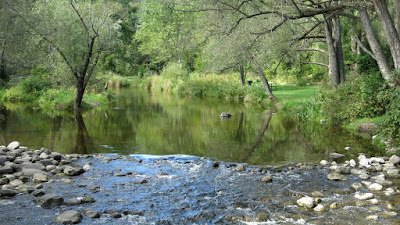 Bronte Creek runs through Lowville Park in Burlington and we decided to explore the park to check on the spawning status. The park is a great place to check out nature and there is a long staircase leading down into the valley. 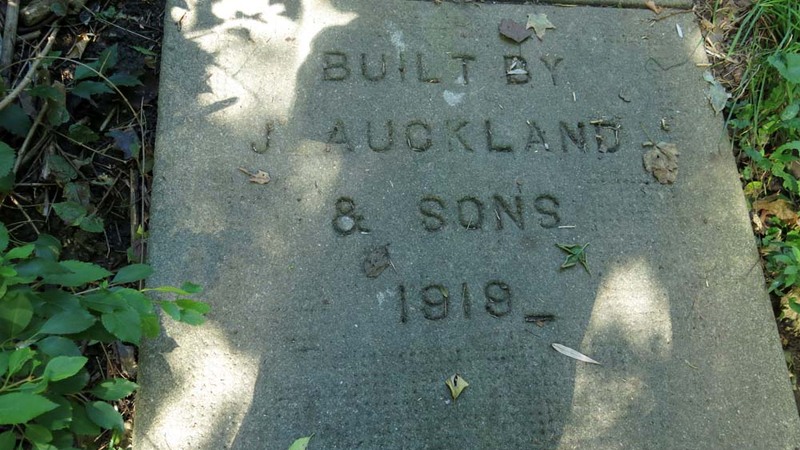 The stairs were built by J. Aucland & Sons in 1919 and apparently there are 104 concrete steps, split by a metal handrail, that lead down the steep hill. 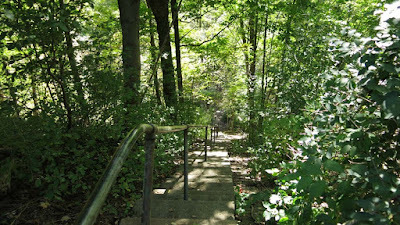 The stairs are tricky to find if you don't know where they are. Follow Lowville Park Road to the end, cross the pedestrian bridge over Bronte Creek. 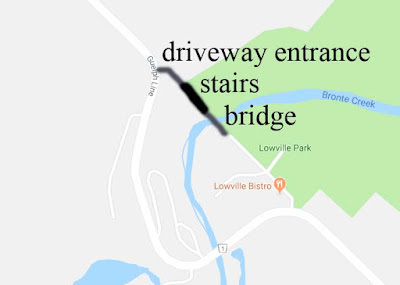 The stairs are on a straight line between Lowville Park Road and the straight part of Guelph Line at the top of the hill, right beside the existing hydro pole line. It is harder to find where the stairs are on Guelph Line, there is no sign or concrete sidewalk to the top of the stairs, signs would indicate that it is private property and you have to keep out. However, the land is accessible and is still part of Lowville Park, enter along the driveway with the hydro wires and continue to a small trail which passes by a Willow Tree, keep going and you are there.